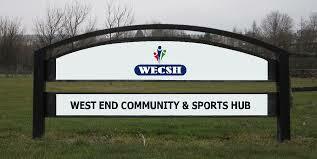 On Tuesday evening, I attended the latest committee meeting of the West End Community and Sports Hub (WECSH) that took place at the Riverside Pavilion. We had a hugely productive meeting, discussing future management of the pavilion and further improvements to assist sporting activity in the West End. Yesterday afternoon, I firstly had a site meeting in Wilkie’s Lane with Rev Leszek Wiecaszek, Parish Priest of St Joseph’s Church, the Chair of St Josephs Parish Pastoral Council and two representatives of the City Council’s Roads Maintenance Partnership. I recently raised concerns from residents including members of the church about the state of the footpath at the south end of the lane. We had a useful discussion about the need to improve the state of the path. Later yesterday afternoon, I chaired a meeting at the Corso Street Sheltered Lounge with residents from Abbotsford Place, Corso Street and Abbotsford Street. Around 40 residents attended and we had a good discussion about numerous local issues. Judith Clark of Solar Cities Scotland was guest speaker and gave a very interesting presentation on carbon reduction and steps to reduce your heating bill. 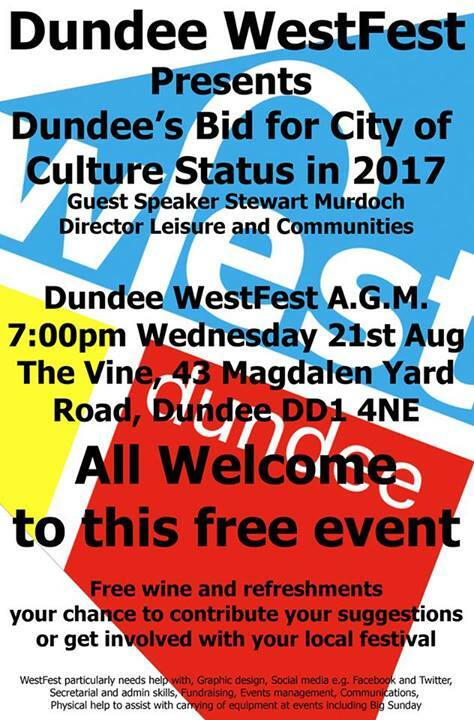 And, talking of well-attended meetings, last night I attended the AGM of WestFest, that took place at the Vine in Magdalen Yard Road. It was a great night with an informative and interesting talk by Stewart Murdoch, City Council Director of Leisure and Communities, on the Dundee bid for UK City of Culture 2017. Co-chair of WestFest, Paola McClure, gave a comprehensive and entertaining resume of WestFest’s past year and a new committee was elected. 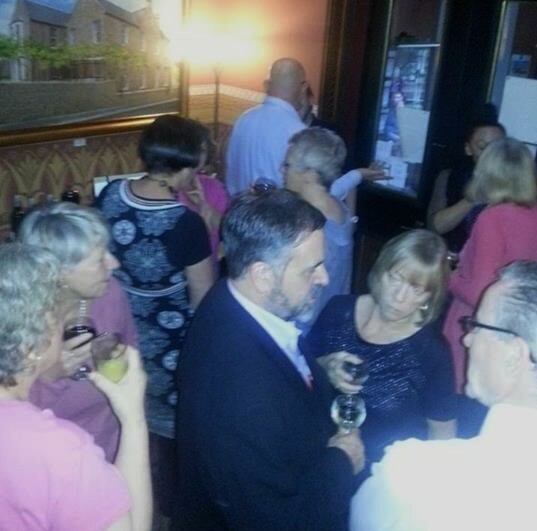 With thanks to Peter Menzies at the Vine for hosting the AGM and the photography on the Facebook page, here’s a photo (right) from last night with me pictured bottom right in the photo! 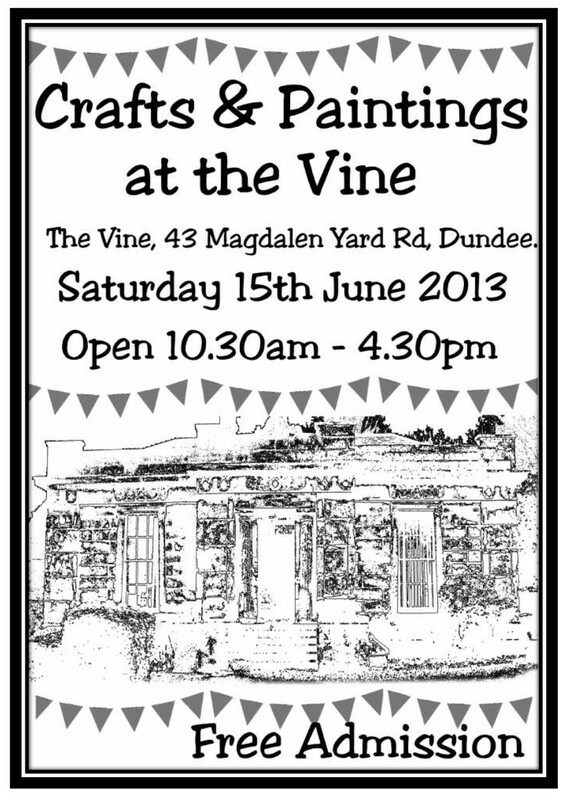 As WestFest 2013 drew to its end after a great week of events, I had the pleasure yesterday of visiting Magdalen Artists’ Crafts and Paintings Day at the Vine in Roseangle. 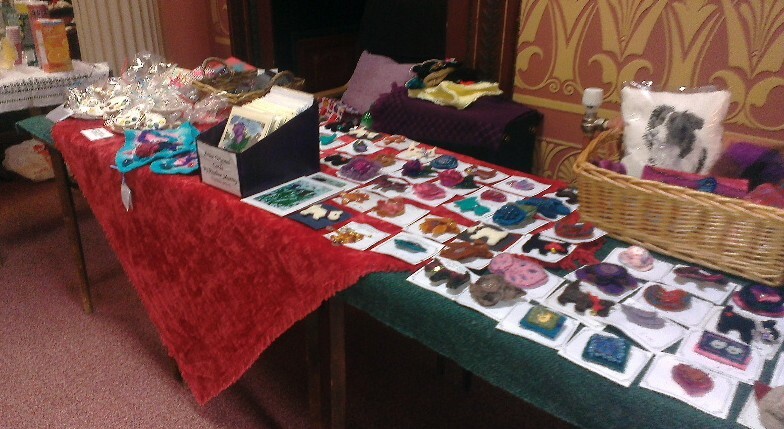 In addition to the art exhibition that has taken place throughout WestFest, there were excellent crafts on sale yesterday – see below. Remaining artworks will be on display at the Vine for some time yet, so there is still the opportunity to view and buy some of the art works. 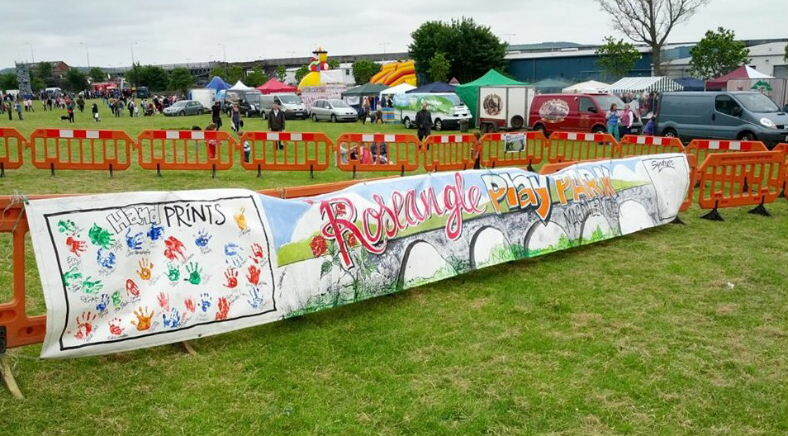 Roseangle Playpark campaign’s superb banner! The Friends of Magdalen Green’s Roseangle Playpark campaign did a superb job at WestFest Big Sunday, raising nearly a further £700 towards the target to get improved play equipment in this much-used playpark adjacent to Magdalen Green. 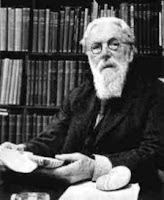 As part of Dundee’s WestFest, I’ll be giving a talk about D’Arcy Wentworth Thompson, his work in Dundee and his extraordinary influence around the world, on Friday 14th June at 1pm in the old lecture theatre, Carnelley Building at the University. Admission is free and all are welcome. Enter by the modern link entrance on the west side of the building. Also for WestFest, on Wednesday 12th June at 2.30pm, I’ll be leading a guided walk round the houses and studios of notable Dundee artists from the 19th century onwards. Tickets cost £3 (proceeds go to support WestFest) and must be booked in advance from the festival organisers (call 07581 383615). 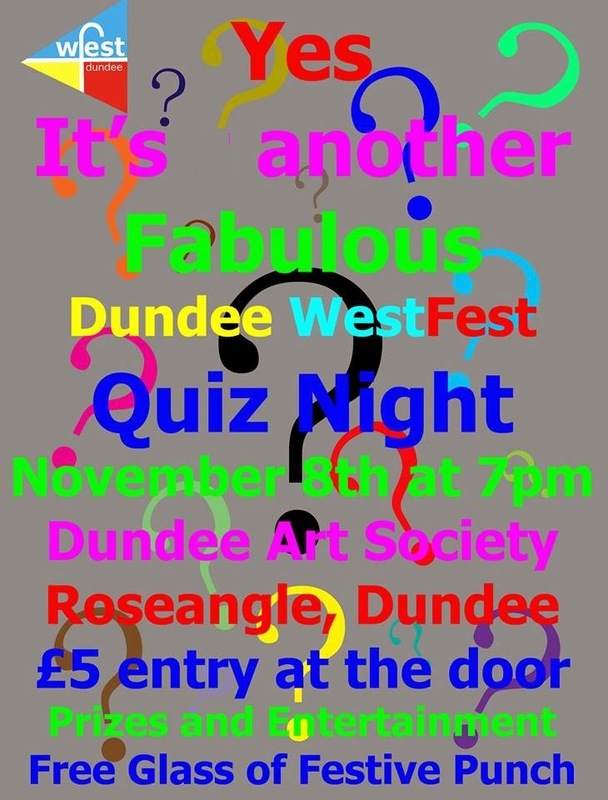 During WestFest, the Magdalen Artists have their exhibition taking place at the Vine in Roseangle, opposite the Roseangle car park. This Saturday, the exhibition is on all day along with a crafts fair – don’t miss it! A high quality PDF of this poster can be downloaded here.